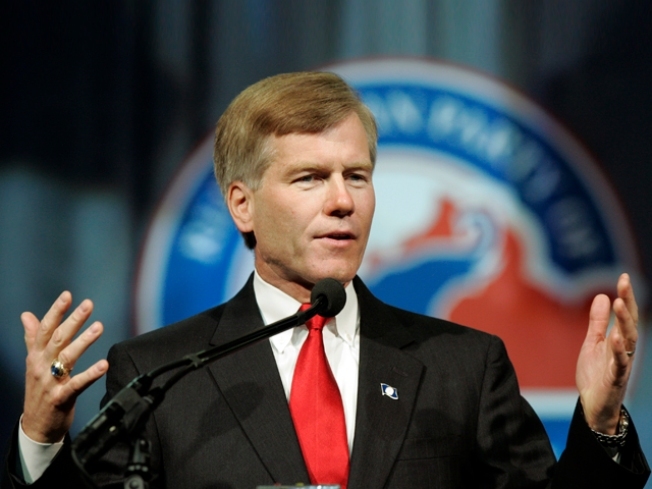 Republican gubernatorial candidate Bob McDonnell speaks at the 2009 Virginia State Republican Convention. The cat and mouse game between Virginia and Texas for CNBC’s Best States to Do Business has the Lone Star State topping the Old Dominion for 2010. Texas nudged out Virginia, which held last year’s top spot. Rounding out the top five were Colorado, North Carolina and Massachusetts, respectively. Maryland came in at No. 27. The District was not part of the survey. The commonwealth got high marks for it’s legal regulatory environment and it for its high cost of living. Virginia has been a favorite in the annual survey for years. In 2009 it came in first, in 2008 it ranked second (again behind Texas) and in 2007 it was again at the top spot.